This is a full text of a discussion that appears in abbreviated version on the SSEES Research Blog of the UCL School of Slavonic and East European Studies (http://blogs.ucl.ac.uk/ssees/2015/01/19/all-tomorrows-parties-the-future/). The editors of East European Politics and Societies are grateful to the SSEES Research Blog for hosting this discussion. EEPS is at home at SSEES. Not only is the journal co-edited there, but SSEES and EEPS play complementary roles in supporting and promoting the best in East European studies. A few words of introduction: This discussion had its birth in the “Whither Eastern Europe” conference held at the University of Florida in January 2014 which sparked a series of conversation, both during the presentations and during the excellent breakfasts, lunches and dinners that surrounded the formal sessions. When East European Politics and Societies and Cultures inquired about the possibility of publishing several papers in a special issue, the authors offered to work together to produce this supplementary work to reflect the discussions that were so productive toward building a consensus (and revealing differences). The conversation presented here comprises a combination of in-person conversations, online-text conversations and text responses to a formal set of questions with the goal of coming to greater understanding of what we know about political parties in Eastern Europe, what we still need to learn, and how we can get there. Deegan-Krause: Let’s start with a simple question: Is there anything we know we can agree about? Whitefield: I found it highly instructive to ponder the lessons from three intertwined perspectives. First, what do citizens want from parties? Second, what do parties have to offer to citizens? Third, how does the communication between parties and voters help deliver good democratic governance? In terms of the citizen-party relationship, I believe that Robert Rohrschneider and I have already well-established that the underlying cleavage structure at the party-level differs between East and West: largely one-dimensional in the East but – importantly – no sign as yet of a shift in the axis of the dimension to resemble the West: in the East, party competition is still based on pro-West/Europe, pro-market, pro-democratic parties versus their opposite. Rovny: Depending on country circumstances and legacies, you should find different combinations of the left-right versus gal-tan and different degrees of salience. The key is ethnicity (and state-building). Whitefield: Of course, there is local variation. In some countries – historical national boundaries in Hungary for example or ethnic divisions in Ukraine or Latvia – specific issues are present that give national distinctiveness to party competition. But nonetheless, there exists powerful evidence of the importance of a Communist legacy on the nature of cleavages in the region as a whole and even of the freezing of the party systems there. Deegan-Krause: To the extent we do see programmatic patterns (or other patterns for that matter), where do they come from? Do you see them anchored in the experiences of the region and if so, which ones? Rovny: One of the most interesting debates has been the one on structure versus volatility of politics in eastern Europe. It seems to me that this debate has by now found a set of generally accepted conclusions. First, the literature on party systems and voting behavior clearly and continuously finds increased levels of organizational volatility — parties get born, merged and dissolved more frequently than in the west — as well as increased levels of voting volatility — voters switch between parties at a higher rate than in the west, while fewer people turn out to vote. At the same time, the literature on ideological structure continuously concludes that parties in the region offer reasonably framed ideological choices, and voters select parties on the basis of their political preferences. Strikingly, these two conclusions are seemingly contradictory: organizational and electoral volatility contrasts ideological structure. I believe that we should aim at the theoretical reconciliation of these findings by accepting that structured stability and volatility can coexist. Deegan-Krause: Let’s talk about stability first. Given the kinds of electoral results we see in the region, it is interesting that there is any talk about stability at all. Whitefield: We agree with what Jan is saying. Work that I did with Geoff Evans in the 1990s and 2000s did indeed point to the importance (contra some expectations) of most of the usual demographic suspects. Social class, measured using the Goldthorpe-Eriksson class schema—which is really based on characteristics of occupations, particularly manual/non-manual and the supervised/supervisory distinctions—was surprisingly useful in the post-Communist context. Given what might have happened to the nature of occupational structures, this class scheme appears both internally valid (occupation is appropriately associated with occupational characteristics in both West and East) but it also provides good predictive value to both attitudes and political behaviour, as much as in the West. As in the West, it doesn’t work as well in all countries—the cleavage structure and what parties offer helps explain variance—but it works. Age and education also work in wholly expected ways. Gender differentiates little. But where some of the most interesting results come, in my view, are from the comparative study of the impact of religion and religiosity in the region. At the extremes, Catholicism and in Catholic countries church attendance matter significantly to public political values and behaviour; in Orthodox countries, religion appears to matter little. I am intrigued to know whether this is a dog that continues not to bark in Russia and Ukraine. Deegan-Krause: If there are deeply rooted competition patterns in the region, where do they come from? And why aren’t they more obvious in the day-to-day politics. Rovny: Let me take the first of those two questions. Although there has been significant focus on the role of various historical legacies on the partisan divides in the region, I feel that more work needs to be done. In this regard I am an unashamed Lipset-Rokkanian. I think we can profitably apply Lipset and Rokkan in the east and I believe more effort and resources should be spent on exploring the historical, pre-communist, bases of political competition in the region. Despite its particularities, eastern Europe has been exposed to many of the same core formative historical forces, theorized and demonstrated as crucial for the west, such as the Reformation, center-periphery divides, and industrialization. State-building, its elites and the core conflicts between them in the past are crucial to what we see today. The usual suspects—conflicts over economics, religion, ethnicity—all pop up with predictable regularity, and I suspect that, as in the west, the varying exposure and response to these and similar factors is likely a fundamental source of political conflict in the region, though of course not the only one. Haughton: The older legacies have played an important role, though we often see them through the filter of communist legacies which often overshadowed them and sometimes reshaped them. The deepest legacy is ethnicity—the key legacy was the demographic legacy of empire. This still shapes politics in many countries in CEE and will do for years to come. In terms of the communist legacies, they matter, but increasingly in different and less direct ways. I wrote an article once where I talked about the past’s role in the ‘battlefields, uniforms and ammunition’ of party political conflict. Although lustration is still, perhaps surprisingly, an important theme to be used in the ammunition of political debate, who did what to whom is far less significant in politics today a quarter of a century on. Where communist legacies still do matter are in the terrain of politics. Communism bequeathed social and economic legacies that have shaped the ground on which party politics is conducted and how political actors think about conducting and resolving such conflicts. Nonetheless, there are not simple straight lines to draw from the communist experience to today, the impact of the communist experience is mediated through the experiences of the post-communist period (which now amounts to over half the entire communist experience in Central and Eastern Europe). Deegan-Krause: Does communism, and the place of one’s self or one’s family in the communist system or something like that then become another sort of long term structural variable that affects the east rather than the west, a regionally-specific variant of Lipset and Rokkan’s list of cleavages? Or do we need to think about it in some other way? Whitefield: Let me weigh in here with an example from work that Robert and I have done followed up by some work by Paul Chaisty and myself, there are dogs that continue not to bark. For example, there is the curious ongoing absence of any real association of environmental or Green politics in the East with other political issues or with the left-right dimension, while at the same time the environment does not emerge as an important political division in its own right. It appears to remain largely disconnected from what most parties stake themselves on – though there is some evidence I am looking at now that does indicate that Green parties in the East take stances and make them salient on the environment that are quite ‘normal’ in the West. Why is this? Why should it be that post-Communist citizens not only are less supportive of environmentalism than people in the West or the developing South, but are distinct from them in the way in which they ‘process’ environmental issues into the rest of their political attitudes? This after now a number of years of ‘Europeanisation’ of environmental issues in law and institutions. Of course, there are features of the transition process that are shared across the region, but if variation in experience is increasingly the order of the day, why would it be that on issues like the environment the region as a whole remains distinct. I think the best explanation has to do with the stickiness of political culture at the mass level, which is supported by something like freezing at the party level. Now, we know from West European politics since the 1960s and perhaps the contemporary scene that eventually political change comes and I am sure it will in the East. But so far, the Communist legacy remains vital to understanding the region. What was it about Communism that made its influence so lasting? That’s a complicated discussion. Haughton: There is some nascent agreement that most voters have certain structural tendencies that push their voting in certain directions, that there is a certain stability of voter attitudes and relationships to “sides”, but at the same time voters are not always certain who exactly to vote for because there is a high degree of institutional volatility, both in the choices on offer and in the likelihood of dissatisfied voters to jump to another party on their “side”. Whitefield: I suppose one of the most pressing and contested questions arise from the character of party organization in the region. We know and can agree that many parties come and go, that the choices available to voters have shifted dramatically in some cases between elections, and that the organizational characteristics or parties in the East are often quite different from the classical mass party organization found in the West. I wonder what difference this makes to important political outcomes – to the nature of cleavages and to democratic representation. Richard Rose famously referred to ‘floating parties’ in a quite derogatory way, since he thought that voters would be unable to hold parties accountable from election to election. There are a number of assumptions about party behavior in Europe that presume institutionalization and programmatic consistency across parties — often on a single ideological dimension. One such issue is that that parties may not have a programmatic identity that is shared between voters’ perceptions, their electoral organizations, their candidates and their office-holders. Haughton: Likewise the amazing thing about Slovakia is that we see the “right” for example with an incredibly stable share of the vote even though the menu of parties is updated for every election. Whitefield: I agree entirely that party organization and party volatility are vital areas of study in the region. There is research – for example, Alison Smith’s work on incentives driving parties to build mass membership – that show that there are trends towards the establishment of more stable organizational party bases. But two points I think need to be made even in conditions of organizational weakness. First, as Jan Rovny has shown in a very interesting recent paper and as I have argued even about the Russian party system in the 1990s, voter-party ideological alignment is quite possible – in fact, it appears to happen – even in conditions of rapidly shifting party supply. I think this is a consequence of the rather simple one dimensional ideological structure of political cleavages. Parties can come and go, but the new ones end up competing on the same axis of division. Parties present themselves in those terms and voters are primed to recognize where parties stand. Second, Robert Rohrschneider and I noted what we called ‘a paradox of equal congruence’ in our recent book. What we found was that parties and their various voters were more or less equally aligned ideologically in the East and West. Part of this, we argued, was the result of the very simple nature of cleavages in the East, which made it easier for voters to locate parties, even new ones, while in the West voters were faced with a much more complex and multidimensional cleavage structure, which raises the bar for ideological alignment. But why were voters not more incongruent with parties in the West? Here is where the organizational factor comes into play, because in the West parties can draw on strong mass party ties and resources which significantly enhanced their capacities to represent all sorts of voters. These are largely absent in the East, so post-Communist parties can’t yet draw on organizational strengths. This is just one of a number of ways in which Robert and I are finding organizational factors in the East to work quite differently. There is a lot more mileage in that line of research to my mind. Deegan-Krause: We are trying to understand what seems to be a change in the way parties operate, shifting toward a much more fluid environment, though one which still has significant islands of stability. Toward that end we are interested the balance between legacies (some regionally specific) and pervasive newer developments related to technology, media, and finance. There is evidence that are seeing a global shift in how electoral political institutions organize themselves and relate to voters, a shift that is related closely to new communications technology, especially the dramatic lowering of the cost of people to coordinate across distances (a reduction in relational transaction costs that discourages short-run investment in traditional organizations) and the increase in the role of individual celebrity and visibility accompanied by the success of startup models, and a further aging of generations of “members”. This has hit every field that deals with large-scale information transfer and organized persuasion, from advertising and journalism to education to political parties. There is a lot of justified talk about the role of legacies in postcommunist Europe, but the biggest may simply be that the timing of the transition meant that these changes hit when the parties in this system were new or relatively young and therefore vulnerable. Combine established but sometimes vulnerable older parties and new parties that are not built (in some cases not even designed) to survive for very long, and you get the kind of institutional instability that we see in the region. This bifurcation of the old and stable and the young and fragile creates two separate party worlds. Deegan-Krause: It is interesting is that none of these parties seem like they can last and yet people vote for them. Do they look completely fragile to ordinary voters? Haughton: Don’t underestimate how disillusioned ordinary voters have become in CEE and indeed in Western Europe. Desperate times call for desperate measures. How often do we get a sense from ordinary voters that they have confidence in any elected politician? It’s very rare. They want their lives and the life-chances of their families to be better, so they take a chance on an investigative journalist (“he seems nice and cares about corruption”) or on a local billionaire (“he’s rich so maybe he can make me rich too”). And of course the new parties never point out that they are trying to replace previous “new” parties. They’re usually careful to assign the last lot of new parties to the bad old camp. Deegan-Krause: There does seem to a shortening of the time horizons of political leaders (and their backers) and a preference for immediate return on party investment. These differences should affect basic elements of what we can expect parties to do, from positioning themselves electorally, to choosing coalition partners, to organizing legislatures. This is happening in the West, too. Maybe not as much. We seem to have 2 theories about why this is happening in the east first they are not necessarily contradictory but 1) says that there are legacies in the east that cause this to happen, i.e. communism, weaker civil society, more economic dissatisfaction 2) (ours) says that even if 1) weren’t the case, there would be something like this because /general/ trends (weaker organization, media, the triumph of celebrity) tend to press against institutional frameworks (Naim’s The End of Power) and that E. European parties are simply easier to push over than western ones. Is there any way to decide between these and/or merge them? Rovny: Yes, I agree when we look at the “instability” part of the equation, the cul-de-sac frustration of communism plays an important role, but the general trends are really crucial — the wind is blowing, and the CEE parties have shabby roofs. In that sense it’s not what the west is now but what the west could become. Deegan-Krause: It sounds as if there is not as much contradiction between the two positions as we might expect. Haughton: Eastern European parties are fragile both because of historical and communist legacies left them with “shabby roofs” and because they (like parties everywhere) are being blown about by winds that make it difficult to tie anything down? In more concrete terms, historical legacies provide an underlying social structure which has ties to particular ideologies, but political organization and voter affinity is hindered by communism’s damage to political trust and efficacy and by new-style organizational flexibility that tends, in the absence of many really solid parties, to play a big role on the political scene. So these systems tend to replicate stable competition patterns but the parties in them come and go. Rovny: Yes, but all countries have legacies that may cause such shabbiness, even old democracies (I am struck by this in France on a regular basis): established French parties are definitely getting rained on. And in the east it is even harder: can you build parties properly if there is no history of doing it? Deegan-Krause: The literature on party institutionalization raises the underlying questions of whether things will actually institutionalize at all or whether that institutionalization will look like we expect it to. If it does not, what are the consequences for democracy? What are the future prospects for this kind of interaction? It is certainly different than what was hoped for in the region but should we be worried? Are its consequences mitigated by the underlying structural stability? Is there anything we can do? These are questions that will take time and effort to answer, and they will require a great deal of intra-regional and cross-regional comparison. Deegan-Krause: The tension between uniquely communist legacies on one hand and more universal influences on the other—both pre-communist structural legacies and post-communist changes in organization and communication—raises the constant questions about the similarities and differences between Eastern European parties and those parties in the west that tend to be their reference points. How should we think about the differences between east and west. Whitefield: only democratic parties seem to make democracy salient; and only Green parties seem to make the environment strongly salient. Another difference I think I am seeing between East and West, the impact of party family in the East essentially disappears when positional differences are taken into account. In short, it isn’t that party family is not associated with position in the East, it is just that it doesn’t do any work over and above what position does: that is not the case in the West, and I am not too surprised by that since party family strikes me as a more powerfully rooted determinant of parties’ reputation and therefore stances than in the East. Rovny: It is clear that many distinctions commonly made between eastern and western Europe are of limited utility. In various political indicators of interest such as the extent of competition over economic versus non-economic issues, there may be more variance within the two blocks than between them. Haughton: Yes, and we need to deal with the fact that most work on political parties is still dominated by the study of Western Europe. We still tend to test theories and apply models derived from the West. (The only exception is when we revert back to using “legacies” as the core of an explanation which is increasingly unsatisfactory not least given the quarter century of developments since 1989.) It seems to us that the study of CEE should increasingly be thought of as a generator of new theories rather than just a new set of cases to apply theory from the west. At the very least we need to encourage that CEE party systems are put on a par and treated equally. This has been done by some scholars, Robert and Stephen’s book springs immediately to mind, but we need more of this. Deegan-Krause: So what role does scholarship on Eastern Europe have to play in the broader debate in the field? Rovny: In many ways Eastern Europe is an advanced laboratory for studying phenomena that are also affecting older democracies, such as the disestablishment of political organization and shifts in party competition. Deegan-Krause: Yes, Eastern Europe gives us an excellent set of cases for studying what happens when new forces encounter weak parties. We see the same instability in certain places in older democracies—Italy, Israel, and Greece in a big way, and Netherlands and Belgium in a smaller way and many other countries in the West to a limited extent. Crises in many of the Mediterranean parities has not only produced volatility but has produced volatility to new kinds of parties that are themselves not built to last. The gift of the east (and much of the rest of the world) to the west, therefore, is the ability to think about how party systems change when they are not protected by “old growth” forests of established parties and what might happen when, either all at once or piece by piece, the established parties fall and are replaced by parties that look like ferns or mushrooms rather than oaks. Haughton: We second Jan’s point about Eastern Europe being a laboratory. We think that the effects of post-transition legacies on forming governing and voting coalitions make studying Eastern Europe relevant to other areas in the world. The matter of legacies is an example of the broader phenomenon of contexts where incentives exist to use political institutions and parties for purposes other than ideological or policy-based representation. We see the region as an excellent place for studying how parties adapt to formal and informal institutions. The variation in levels of institutionalization among parties within the same system allows us to see how parties can differ in how they interact with the same institutions. The result is that we see a wider range of situations than Western Europe allows, such parties as with very low ideological cohesion and or facing imminent collapse in support. Rovny: There are also other interesting ‘experiments’ going on in the eastern lab, and surprisingly they are ones that pertain to ideology. The east is been a testing ground for populist ideological frames connecting socially conservative and economically left-leaning positions, combined not only by some post-communist left parties, but also by most radical ‘right’ parties in the east (which are in economic terms anything but pro-market). But this is no longer just an Eastern European phenomenon. While initially unparalleled in the west, some ten years ago Herbert Kitschelt suggested that western ideological politics, depicted in two-dimensional (economic and social-cultural) space, is rotating. Western parties are less divided over economic issues and more over social cultural issues as the left becomes more economically centrist and the right becomes more socially conservative. Given the latest developments in radical ‘right’ positions in the west, which are slowly taking more economically left-leaning stances (the French FN is the best example), we may see a reproduction of eastern patterns of party competition in the west. Additionally, my recent work suggests an intimate ideological connection between ethnic minorities, their views about civil liberties, and general ideological outlooks of parties associated with them — a relationship which I argue significantly co-shaped party competition in the east. It may also come as some surprise but it may be that the differences between East and West are smaller than they seem, even at this structural level. Ethno-linguistic and religious conflict are more potent in the east than in the west, but I am struck by the Cold War absurdity of putting Finland and Greece into one “Western Europe.” The ethnic questions so pronounced in many eastern European countries are also visible in the west, and I suspect that similar dynamics may be at work in the west especially as ethno-regional identities become more salient in the context of the economic crisis and mobilized by (possibly failed) referenda on independence. Whitefield: Just a further word in defence of CEE parties here. I mentioned earlier that parties in West and East seem equally capable of representing voters at least in their programmatic offerings. Actually, there is one increasingly important issue – European integration – on which mainstream parties in the East may outperform their Western counterparts in representational terms. As the European issue has loomed larger and citizens have over the past years since the onset of the financial crisis become increasingly Euro-sceptic, it is interesting that mainstream parties in the West have not adjusted their stances on integration to reflect that Euro-scepticism nor have they increased the salience of Europe in their electoral appeals, in fact quite the opposite. This means that almost all of the representational strain of rising Euro-scepticism in the West has been taken up by extreme parties – and these are often parties that are not just extreme on integration but on other issues also. But, as Robert and I show in a recent paper, the representational strain is being taken up much more by mainstream parties in the East, which may mean that there is less of an opening for extreme parties and may also mean that the rise of anti-politics associated with representational failure by mainstream parties may be mitigated in the East. Why are post-Communist parties more willing to move on integration issues than their Western counterparts? Because, in our view, the issue of Europe is bound up on the main axis of political competition rather than, as in the West, sitting orthogonally to it. In the East, mainstream parties always competed on Europe. In the West, mainstream parties don’t compete on it, don’t own the issue, and don’t want to talk about it, leaving it to other parties to take up. That is quite dangerous in my view. Deegan-Krause: So in light of all of the discussion to this point, what is it that our field needs most? Where should we be putting our attention? Haughton: Put simply, I am particularly interested in the success and failure of parties at the ballot box: why some succeed, why some have lasting success, some merely fleeting success and why other parties fail to persuade voters to support them. To that end, if time and resources permitted I’d want to conduct large-scale comparative research to work out why voters cast the ballots the way they did (interviewing, focus groups etc. plus polling) over a series of electoral cycles. Much of what we have to do is make educated guesses based on opinion polling and surveys which are often not easily comparable or in a form which makes satisfactory comparison possible. We are left to infer from these statistics which may be accurate, but ultimately we don’t know. Beyond that, I’d love to be able to visit every branch of every party in the region to talk to the activists and party workers. Rovny: I would like to see a research agenda should focus on the historical state-building elites, on the formation of political camps, and on their social bases of support. Provocatively, such an agenda should question whether these historical factors may ‘return’ to frame eastern European politics as the experience of communism recedes into the past. Deegan-Krause: I think we need to work in Eastern Europe on the general topic of alignment-dealignment-realignment and whether what we are seeing is a general reduction in the socio-demographic underpinnings of political attitudes and voting behavior and to what extent there is (as Kitchelt, Kriesi and others have suggested) a shift to socio-demographic underpinnings that have not traditionally been the subject of inquiry (sector, professional group). There is a related question of method and data with regard to these questions of things that parties fight about. The range of sources is great: what experts say about where parties stand (according to various standards, pioneered the Rohrschnedier and Whitefield studies and the North Carolina research, both represented in this discussion), what elites say (to scholars in surveys, or with their votes—the core of the work by Monika Nalepka and Royce Carroll–or with their speeches or with their manifestos), what voters say about parties , what voters of parties believe (according to focus groups, according to surveys). In some cases disagreements about what is going on in countries rests on these different indicators point in different directions. I’m wondering to what extent we can integrate these perspectives and what kinds of additional we need and what computational methods might allow us to find some common positions for parties on multiple dimensions. I’d also like to see us develop much more sophisticated measures of party change to replace our binary determination of “successor” v. “not-successor” and therefore allow improved understanding of the nuances of supply side shifts and voter decisions that appear to be dealignment but may in reflect voters following their preferred party leaders from one new party to another. Questions of intra-party relationship gathered the attention of 30% of all the scholars involved, but the sub-sets split evenly and widely along directions such as organization and party finance, leadership selection, party-parliamentary relationships, party membership and party life cycle. In comparison to others, scholars of Eastern Europeans tended to emphasize organization and finance rather than membership and factions. An almost equal share—27%—mentioned relationships between parties and their voters. A plurality of these comments focused on voting behavior, but significant shares also went to cleavages and turnout and a few others emphasized a broad range of other topics including clientilism, representation, party communication strategies and dealignment. These voting behavior questions were far more popular among those who study Eastern Europe. While few scholars of other regions focused on specific party types, 15% of the scholars of Eastern Europe found these extremely interesting. Of these just under half mentioned “new parties” and a significant number mentioned populist parties. The position of parties in the broader context of domestic and international political systems also attracted about 15%. As might be expected, those who study Eastern Europe were more interested in the broad process of party Europeanization than scholars from other regions, but they were (again, perhaps indicative of the region) overall less interested in interest groups and policy outcomes. About 10% of the suggestions concerned relationships between parties. Most of these mentioned the study of party positions and dimensions of competition but a few mentioned coalition formation and volatility. The scores for those who study Eastern Europe were in line with these figures in general but considerably higher on the question of volatility. Rovny:Also, I very much like the Allan’s work with Sean Hanley on new anti-establishment parties. Haughton: Ingrid van Biezen has really helped broaden our understanding about patterns of party change (are parties the way they are because of when they were born, how old they are, or the period in which they are operating) and Andre Krouwel has done helpful work on party typologies for the new century. And recent work by Mainwaring, Gervasoni and Espana and Powell and Tucker have both independently started to enrich our understanding of volatility by looking at the role of system entrances and exits. Deegan-Krause: What about the broader level of party systems and voting. What are your strongest influences? Whitefield: as we study the questions of what voters want from parties, we would recommend Dalton’s recent piece on partisan learning in new democracies, Barnes et al’s work on the Spanish transition; and Brader and Tucker’s recent work [on]. Rovny: I would add Stephen’s and Robert’s The Strain of Representation and the string of related articles. Rovny: I think the overall contribution here is to help to resolve a long-standing debate in the field, through a multiplicity of similar pointing to the relatively stable ideological nature of political competition in Eastern Europe, underpinned by social divides and individual preferences. Other recent works, such as those by Margit Tavits have echoed these conclusions. Deegan-Krause: And while they are not always in perfect agreement, the similarities of their findings on party positioning and, especially, the role of issue salience help us map the electoral environments we are dealing with and understand why parties compete and form coalitions as they do. There is a lot of work to be done and other kinds of measures to be integrated but both of these big studies are an important first start. What sources do you find yourself relying on when looking upstream to the sources of political parties and party systems? Deegan-Krause: On the role of legacies, I’d highlight Kitschelt’s work on divergent paths of post-communist transitions as well as his earlier work on cleavages and connections between citizens, parties and outcomes. Rovny: In a similar vein, I find the works by Grigore Pop-Eleches and Joshua Tucker on legacies crucial for our deeper understanding of what it actually is that shapes party conflict in the region. Deegan-Krause: And looking downstream to the consequences of particular party configurations and outcomes. Whitefield: On the link to the quality of democracy, I really like Thomassen’s and van Biezen’s work which connect empirical questions about parties to a concern with good governance. Haughton: I also think the state-building literature has been a valuable contribution to the study of the effects of party politics Conor O’Dwyer’s Runaway Statebuilding, the Venelin Ganev’s Stealing the State and Anna Grzymala-Busse’s Rebuliding Leviathan. Deegan-Krause: Andrew Roberts’ The Quality of Democracy in Eastern Europe also deals well with the consequences of party competition in particular policy realms. The list also included the classic works by Lipset and Rokkan, Sartori, Bartolini and Mair, Lijphart, Pannebianco, Scarrow, Knutsen and Scarbrough and Cox. Lists of scholars who work on other political parties in other regions echo this list of classics along with some of the other works listed here including Mair, Kriesi and Meguid. Here is of the books and articles most commonly cited by scholars of the region is available. Another list including all 100+ books and articles citied by scholars in the survey is available below. Adams, Ezrow, and Somer-Topcu “”Is Anybody Listening”” (2011). Albright, Jeremy (2010) The multidimensional nature of party competition in Party Politics have been of great interest. Baumgartner, Frank R., and Bryan D. Jones. 1993. Agendas and Instability in American Politics. Chicago: University of Chicago Press. Bevan, Shaun, and Will Jennings. 2014. ”Representation, Agendas and Institutions”. European Journal of Political Research 53(1): 37-56. Bevan, Shaun, Peter John, and Will Jennings. 2011. «Keeping party programmes on track: the transmission of the policy agendas of executive speeches to legislative outputs in the United Kingdom». European Political Science Review: 1–23. Birch, Sarah (2003), Electoral systems and political transformation in post-communist Europe. New York: Palgrave Macmillan. Budge, Ian, and Richard I. Hofferbert. 1990. “Mandates and Policy Outputs: U.S. Party Platforms and Federal Expenditures.” The American Political Science Review 84(1): 111-131. Budge, Ian, Hans-Dieter Klingeman, Andrea Volkens, Judith Bara, and Eric Tanenbaum. 2001. Mapping Policy Preferences. Estimates for Parties, Electors, and Governments, 1945-1998. Oxford: Oxford University Press. Budge, Ian, Hans-Dieter Klingemann, Andrea Volkens, Judith Bara, et al. 2001. Mapping Policy Preferences: Estimates for Parties, Electors, and Governments 1945-1998. Oxford: Oxford University Press. Caplan, Bryan (2007) The Myth of the Rational Voter. Princeton University Press. Capoccia, Giovanni and Daniel Ziblatt (2010), ‘The Historical Turn in Democratisation Studies: A New Research Agenda for Europe and Beyond, Comparative Political Studies, p.931-968. Carey, John M. (2008) Legislative Voting and Accountability. Cambridge University Press. Caul Kittilson, Miki (2006) Challenging Parties, Changing Parliaments. Women and Elected Office in Contemporary Western Europe. Columbus, OH: The Ohio State University Press. Chhibber, Pradeep and Ken Kollman (2004) The Formation of National Party Systems. Federalism and Party System Competition in Canada, Great Britain, India and the United States. Princeton: Princeton University Press. Crotty (eds) Handbook of Party Politics, London, Thousand Oaks, CA and New Delhi: Sage, pp. 204–27. Crouch, C. (2004) Post-Democracy. Cambridge: Polity. Dalton, R.J. and Wattenberg, M.P. (eds) (2000) Parties without Partisans: Political Change in Advanced Industrial Democracies. NY: Oxford University Press. De Vries, Catherine and Sara B. Hobolt (2012) ‘When Dimensions Collide: The Electoral Success of Issue Entrepreneurs’, European Union Politics, 13(2) 246-268. Erikson, R.S., MacKuen, M.B. & Stimson, J.A. (2002). The macro polity. Cambridge: Cambridge University Press. Fiorina, M. (1981). Retrospective voting in American elections. New Haven, CT: Yale University Press. Gallagher, M. and M. Marsh. (1988). Candidate selection in comparative perspective. Londres: Sage Publications. Green-Pedersen, Christoffer, and Peter B. Mortensen. 2010. 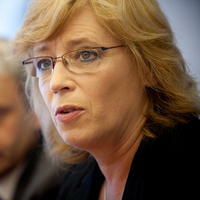 ”Who sets the agenda and who responds to it in the Danish parliament? A new model of issue competition and agenda-setting”. European Journal of Political Research 49(2): 257–81. Heidar, K. (2007) ‘What Would be Nice to Know about Party Members in European Democracies’, ECPR Joint Sessions, Helsinki, 7-12 May 2007. Hibbing, John, and Theiss-Morse, Elizabeth. (2002). Stealth Democracy. Americans’ Beliefs About How Government Should Work. Cambridge: Cambridge University Press. Hobolt, Sara B., Jae-Jae Spoon and James Tilley (2009) ‘A vote against Europe? Explaining defection at the 1999 and 2004 European Parliament elections’, British Journal of Political Science , 39(1): 93-115. Hobolt, Sara Binzer, and Robert Klemmensen. 2008. ”Government responsiveness and political competition in comparative perspective”. Comparative Political Studies 41(3): 309–37. Hofferbert, Richard I., and Ian Budge. 1992. “The Party Mandate and the Westminster Model: Election Programmes and Government Spending in Britain, 1948-85.” British Journal of Political Science 22(2): 151-182. Hooghe 2006. Party Ideology and European Integration: An East/West: Different Structure, Same Causality, with Liesbet Hooghe, Moira Nelson and Erica Edwards. Comparative Political Studies 39(2), 155-75. Jones, Bryan D., and Frank R. Baumgartner. 2004. ”Representation and Agenda Setting”. Policy Studies Journal 32(1): 24. Jones, Bryan D., and Frank R. Baumgartner. 2005. The Politics of Attention: How Government Prioritizes Problems. Chicago: University Of Chicago Press. Kam, C. D., & Palmer, C. L. (2008). Reconsidering the Effects of Education on Political Participation. The Journal of Politics, 70(03), 612–631. Katz, R. y P. Mair. 1995. “Changing models of party organization and party democracy: the cartel party”, Party Politics 1:1-28. Katz, R.S. (2005) ‘The Internal Life of Parties’, in K.R. Luther, F. Müller-Rommell (eds) Political Parties in the New Europe. Political and Analytical Challenges. Oxford: Oxford University Press. Kitschelt Herbert “”The Transformation of European Social Democracy”” (1994). Kitschelt, H. (2000) ‘Linkages between citizens and politicians in democratic polities’, Comparative Political Studies, 33 (6–7): 845–879. Klingemann, H. D, R. I Hofferbert, I. Budge, e H. Keman. 1994. Parties, policies, and democracy. Westview Pr. Knutsen, O. and Scarbrough, E. (1995) ‘Cleavage politics’, in J. van Deth and E. Scarbrough (eds) The Impact of Values, Oxford: Oxford University Press, pp. 492–523. Laver, Michael, and Budge, Ian (Eds.). (1992). Party policy and government coalitions. New York: St. Martin’s. Laver, Michael, e Kenneth A. Shepsle. 1996. Making and breaking governments: Cabinets and legislatures in parliamentary democracies. Cambridge University Press. Lovenduski, Joni (2005) Feminizing Politics. Cambridge: Polity Press. Lovenduski, Joni and Pippa Norris (1993) Gender and Party Politics. Thousand Oaks, CA: Sage. Luna Juan Pablo, 2014, Segmented Representation, Oxford. Mair, Peter, and Jacques Thomassen. “”Political representation and government in the European Union.”” Journal of European Public Policy 17.1 (2010): 20-35. McDonald, Michael D., and Ian Budge. 2005. Elections, Parties, Democracy: Conferring the Median Mandate. Oxford: Oxford University Press. Petrocik, J. R. 1996. «Issue ownership in presidential elections, with a 1980 case study». American Journal of Political Science: 825–50. Plasser, Fritz and Gunda Plasser (2002), Global Political Campaigning. A Worldwide Analysis of Campaign Professionals and Their Practices, Westport CT: Praeger. Powell and Tucker on improving our understanding of measuring volatility. Randall, Vicky and Lars Svasand (2002) ‘Party Institutionalisation in New Democracies’ Party Politics, 8:5, pp.5-29. Sartori, Giovanni. 1976. Parties and Party Systems: a Theoretical Framework. Cambridge University Press: Cambridge. Sigelman, Lee, and Emmett H. Buell. 2004. “Avoidance or Engagement? Issue Convergence in U.S. Presidential Campaigns, 1960–2000.” American Journal of Political Science 48(4): 650–61. Soroka, S.N., e C. Wlezien. 2010. Degrees of democracy. Cambridge, MA: Cambridge University Press. Stegmueller’s POQ article on individual-level partisan dynamics. Strøm, K., W.C. Müller and T. Bergman (eds) (2008), Coalition Bargaining: The Democratic Life Cycle in Western Europe, Oxford University Press, Oxford. Strøm, Kaare, and Wolfgang C. Müller. 1999. «The keys to togetherness: Coalition agreements in parliamentary democracies». The Journal of Legislative Studies 5(3-4): 255–82. Strøm, Kaare. 2000. “Delegation and Accountability in Parliamentary Democracies.” European Journal of Political Research 37(3): 261-289. Sulkin, T. 2005. Issue politics in Congress. Cambridge: Cambridge Univ Press. Tsebelis, George. 2002. Veto Players: How Political Institutions Work. Princeton: Princeton University Press. Tversky, Amos. (1988). Contrasting Rational and Psychological Analyses of Political Choice. American Political Science Review. Van der Brug, Wouter, and Joost Van Spanje. “”Immigration, Europe and the ‘new’cultural dimension.”” European Journal of Political Research 48.3 (2009): 309-334. Van der Meer, Tom, et al. “”Bounded volatility in the Dutch electoral battlefield: A panel study on the structure of changing vote intentions in the Netherlands during 2006–2010.”” Acta Politica 47.4 (2012): 333-355. Warwick, Paul V. 2001. “Coalition Policy in Parliamentary Democracies Who Gets How Much and Why”. Comparative Political Studies 34(10): 1212–36. Young, L. (2013) ‘Party Members and Intra-Party Democracy’ in W.P. Cross and R.S. Katz The Challenges of Intra-Party Democracy, Oxford: Oxford University Press. East European Politics, Volume 30, Issue 3, September 2014 is now available online on Taylor & Francis Online. The beginning of a semester often means the end of active posting, and such was the case during the winter and spring of 2011–though indeed I took the absence of activity to rather absurd lengths–but the semester is now over and so I can again begin to post from time to time. Although much happened in Slovakia and the Czech Republic in the last 4 months: coalition crises and fear of government collapse in both countries, not that much has happened in terms of public opinion (which—since others are much better positioned to handle the day-to-day political dynamic—is the main focus of my posts). Almost one year after the election, the polls suggest that elections would return a parliament relatively similar to the one Slovakia has now. There are some shifts in relative proportions, and though these are not overwhelming, they deserve attention. I will begin with the newly “locked-out” cases, then address the newly “locked-in” and finally take a brief look at the long-standing parties in the system (my colleague Tim-Haughton and I have taken to calling these “perennials” to describe their ability to withstand difficulties, as opposed to annuals that die each year and whose “type” survives only by reseeding). The graphs are in the dashboard: http://www.pozorblog.com/slovakia-public-opinion-dashboard/. As often happens in Slovakia, electoral periods lock in an equilibrium for a period of time, particularly with reference to the 5% electoral threshold. Parties that fall below the 5% threshold in elections tend to stay below (no party has returned to parliament without a coalition once it has fallen short of the threshold, and KSS is the only example of a party that has entered parliament after previously campaigning and falling short. Indeed with the exception of KSS, SZS in the early 1990’s and HZD for 4 months in the summer of 2004, I can find no party that has even broken received 5% in opinion polls after previously having fallen short). The same phenomenon works in the opposite direction—parties, once elected, tend to stay above the 5% threshold for a time—though the floor is far less stable than the ceiling. HZDS has maintained its steady decline after the election. In some polls it now is no longer even listed. This is remarkable feat for a party that once won a near majority of parliamentary seats—sustained, gradual decline over 7 election periods. It is a testament both to the ability of its party leader to hold the party together and to what happens when there is only a party leader to hold a party together. SMK is a fascinating case. The party that dominated the Hungarian electorate for 10 years (and 10 years previously as an electoral coalition) has fallen to extremely low levels, suggesting an overall shift to Most-Hid. Of course it doesn’t hurt that Most-Hid is run by the leader who led SMK during its dominant period and so in many ways this is merely a reshuffling of the same cards. Annuals in bloom, but for how long? The long-term exclusion of sagging older parties is far more likely than the long-term success of at least some new ones. The asymmetry appears to affect SaS more than Most-Hid. Most-Hid has the advantage of a relatively captive audience. Hungarians in Slovakia have not typically voted for non-Hungarian parties, and so the decline of SMK and the rise of Most-Hid are nearly isometric. Recovery by SMK might simply reverse the fortunes of these two parties or it might—if not too much blood has been shed or if enough time has passed since the bloodshed—lead to an electoral coalition of the sort that Hungarian parties in Slovakia used profitably for several election cycles in the 1990’s. It would appear that Slovakia’s Hungarian population may be just a bit too big for only one party but too small for two fairly (but not perfectly) matched competitive parties). The attached, rather ad hoc table helps to define the dilemma. In countries where the population of a particularly captive (political scientists would use the world “encapsulated”) group is the leaders in the system have relatively little freedom to split without endangering the representation of the entire population: if the encapsulated population is, for example, 7%, then even a gain of 30% of the population by an upstart party will push both old and new parties below a 5% parliamentary threshold. If, on the other hand, the encapsulated population is more than twice the threshold, then even a nearly equal split will at worst reduce the representation of the group in half but will not eliminate it entirely. If the encapsulated population is relatively large, say 17%, then even a 70%-30% split will allow both parties over the 5% threshold and there is little cost to the split. Slovakia is right in the middle of these cases. It’s 11% Hungarian population made a split within the SMK thinkable—it would likely not result in the elimination of both parties from parliament—but not safe, since anything less than a near perfect split would (and did) knock one party from parliament. What happens with SMK and Most-Hid will likely depend on two factors: 1) the degree to which Most-Hid can capture the remaining share of the Hungarian vote (if it captures all of it, there is no incentive to change), and 2) the degree to which Hungarian leaders seek partisan advantage (one party triumphing over another even at the expense of a smaller Hungarian delegation) or ethnic advantage (one party accepting the other as a partner to maximize overall votes at the expense of party dominance). SaS has seen a slight post-election decline after a rapid pre-election rise. We have seen this pattern before in many similar parties—ZRS, SOP, ANO and Smer—but we have also seen two different endings. In the case of SOP and to a lesser extent ZRS and ANO, party support followed an almost pure parabola (y=100-(x-10)^2), but in one other party—Smer—we saw the beginnings of decline followed by a subsequent rise. Of course Smer ended up out of government after its first election and became a reservoir for disaffected voters and those who left HZDS. SaS, by contrast, is saddled with governing responsibilities, few resources for party-building activities, and three deputies (until recently four) who were never part of the party to begin with and who have one foot out the door. SaS has so far at least stayed out of the kind of internal trouble that will likely kill Veci Verejne in the Czech Republic (more on this in the next post) but its preference trajectory is not all that different from VV. The matter is serious: as the graph shows, only one major new party has survived infancy and SaS does not possess the same favorable characteristics or the same preference trajectory. About KDH there is little to say. The party continues to demonstrate a noteworthy stability. It ebbs and flows, largely in response to the attractiveness of adjacent parties such as SDKU and the success of its own political initiatives, but it stays between 8% and 10% in almost every poll. While there is no clear proof of the proposition, KDH lends weight to inverse relationship between party stability and party leadership: whereas other leader-centered parties have fluctuated wildly in the past (based in part on the decisions and reputation of the leader), KDH has changed its leader 3 times in regular cycles while remaining relatively consistent in terms of its policies, its electorate and, perhaps as a result, the size of that electorate. About SNS there is more room for speculation. SNS has, at least in some polls, halted the sharp decline in support that began in the 2008s, but the party’s support remains extremely close to the 5% threshold despite the continuation of sharp action by Hungary’s government (of the sort that conventional wisdom has linked to increases in SNS support). It is unlikely that former SNS president Anna Belousovova’s proposed new party will draw away too many of the faithful but SNS does not need to lose much to eliminate its parliamnentary representation. The losses to Smer and the LS-NS in 2010 brought it within 2000 votes of the threshold. A few additional losses to Belousovova could eliminate it entirely from parliament (as happened in 2002). The two larger parties—Smer and SDKU—have engaged in sustained battle for the last 9 years, each vying for leadership, though the nature of “leadership” is different: Smer’s outsized lead over all parties, foe and friend alike, has allowed it to dominate its side of the political spectrum since 2004 or so, whereas SDKU must operate as a first among equals among its potential partners. Ironically, the election of 2010 left Smer with a larger parliamentary delegation but pushed it out of government while allowing an electorally weaker SDKU lead the next government. SDKU benefited from its “victory” with an increase in the share of its preferences to the highest sustained levels in the party’s history. That this high-level should hover around 16% is an indication of the party’s lack of overall strength, but at least gives it a 2:1 lead over its next nearest coalition partner. It is hard for me to judge why SDKU should be relatively successful while it leads a government that has been notable for its internal weaknesses and difficulty in achieving relatively clear-cut goals (such as the election of a general prosecutor), but it while it has had its share of minor scandal, it has at least stayed clear of deep level corruption (or at least the publicization thereof) and has addressed many of the more difficult allegations head on. Smer has also risen in the last 10 months and by a relatively significant amount. After receiving nearly 35% percent in the 2010 elections, it has increased its preferences until they nearly approach the party’s previous highs in early 2007 and early 2009. The growth is impressive and Smer has done everything it could to remain actively part of the news cycle, with almost daily press releases, allegations and proposals and a party leader who is more accessible to (and less outraged by) the press. But there are several reasons to view’s Smer’s resurgence with a bit of skepticism. The first of these is that the party consistently does worse than its polling. For several years this exhibited itself as a surprise in the elections. Since 2006 it has been more a case of voters shifting their opinion (or their decision to vote at all) during the election campaign, so that Smer has not necessarily done worse than its election week polling but it has done considerably worse than its polling in 3-6 months before the election. Of course in each case this could be the result of circumstantial changes (perception of a worsening economy likely had some effect on Smer support in 2010) but the pattern is fairly consistent and suggests a softness in the support for Smer that may remain: the party tends to attract the disgruntled but does not necessarily keep them on election day. Even if Smer does keep all of its preferences, there is a second reason for caution about the share of Smer supporters. As in the two previous elections, the big question for Smer is not its own success but that of its partners. The collapse of HZDS and near collapse of SNS left Smer without any options for a governing coalition in 2010 even though it won by far the largest share of the vote. The situation has, if anything, gotten worse. In March of 2009, the ruling coalition of Smer-SNS-HZDS had 61.9% of the vote and could expect to win 110 of the 150 seats in parliament. Of those, Smer alone had 45.2% of the vote and 73 seats, while its partners together had 16.7% of the vote and could expect 27 seats. Exactly two years later, after a decline in 2010 and recovery through 2011, Smer again has 44% and which would give it 73 seats in parliament. But its former coalition partners can now expect only 9.2% of the vote and only 10 seats. And those 10 seats hang by a less-than-1% margin. The graph below offers a clear picture of how the “national” and “extreme left” portion—the parties at the bottom—of the political spectrum have weakened over time. Smer has likely absorbed much of the decline, but the segment has diminished even when Smer is added into the totals. Its absorption of the nationally oriented segment of the electorate has come at some cost, apparently (or if not, then it has lost other voters for other reasons). Smer is thus bigger but not so big that it can govern without others. Smer still needs partners if it hopes to gain a parliamentary majority, but it has not yet figured out how to keep old friends (or at least keep them alive) or cultivate new ones. One final note that will prove to be of great importance to this blog: I owe a debt for the collection and analysis of public opinion data over the last six months to Jozef Janovský, student of political science and international relations in the Faculty of Social Studies at Masaryk University in Brno. Over the coming months I hope to work woth Jozef and several other colleagues to broaden the kinds of resources that are available in this blog. I’m thankful to Jozef for reaching out and offering his extremely capable assistance and I look forward to our collaboration. It’s probably a bit early to care about polls again–it’s only been a month since the election, but where there’s polling data there’s usually misanalysis to go with it and one of the purposes of this blog is to address the problems. The poll we have is FOCUS, which did fairly well in the recent election in producing poll numbers that resembled election results (though worse that some, including, most notably, Polis). The big papers have “horse race” headlines today that Smer shows big gains while the coalition parties have fallen. That’s only half true and it’s only slightly more than half relevant. The problem is that the analysis is comparing the poll numbers to the recent election numbers when the election itself demonstrated that polls and elections are not exactly the same thing. It is no more useful to compare post-election polls to actual results than it is to compare pre-election results because polls and election results do not measure the same thing (of course we try to do that comparison as best we can because we want to know who’s going to win, but it is still an approximation). The true comparative test is to compare the post-election polls with the pre-election polls. Perhaps this is what the papers should have done because it shows an even bigger change, at least for Smer, which rises from below 30 to above 40 in the FOCUS poll numbers. This is offset somewhat by a three point drop for HZDS–now way under the 5% threshold, a point it may never reach again in reputable polls–and a point-and-a-half drop for SNS, but whatever the calculation, it is a big jump for the current opposition. Interestingly, looking at polls rather than election results for comparision, the new government actually sees a slight improvement as well: SDKU up two-and-a-half, Most-Hid up half-a-point, and SaS and KDH both stable. The big losers here are the losers: HZDS and SMK, firmly below the 5% threshold, SDL back down under 2 points and no other party showing a significant result (including KSS which had stayed above 1% for all but one of the polls conducted between 2006 and 2010 but is above that line no more). This is fairly normal in the post-election period and some of these parties may spring back (I see some possibility for a slight recovery in SMK if it doesn’t do anything ill-advised). Since the SDKU-led coalition did not suffer in this poll, the Smer gain probably came from the supporters of smaller parties who were lured away in the final weeks of the election campaign or whose voters have finally given up hope. Given Smer’s rapid recovery, it is tempting to note that the party’s voters appear to have stayed home at just the wrong time, but this may in fact be the nature of many of Smer’s voters, who are willing to settle for that party because there is none better within their ideological framework, but who are easily drawn either to other parties or to staying home on election day. Either way, it’s good to know that reportage on polling results in Slovakia continues to need a watchful eye. Richard Swales is from England, but lives in Kosice where he is married and runs Jazykova skola Start (www.jazykova.sk), a school for Slovaks who want to learn English. Richard and I have never met in person but he been such a consistent source of astute comments that I have asked him here to elaborate on an email he sent to me about preference voting in the most recent election in Slovakia and he was kind enough to do so. In Slovak elections, the system used is the party list system. This means that each party submits a list of 150 candidates, and the voters choose the party they prefer. All parties which have at least 5 percent of the votes get seats in parliament in proportion to their vote share. For this purpose a number called the REN– republic electoral number–is calculated; this time it was 14,088 and parties got one seat for every 14,088 votes they got. The question this post looks at is which of the 150 candidates get those seats. In some countries, the order in which the candidates are printed on the list is used, so if a party gets 15 seats, the top 15 candidates are elected (this is called a closed list system). In other countries, the voters also get vote for individual candidates to determine the order (this is called an open list system). In Slovakia, each voter may choose to vote for the party only, or may choose to circle the names of up to four candidates on the list. Seats are awarded to candidates in order of the number of voters who circled them, but there is a catch. To get a seat in this way, a candidate must be circled by at least 3 percent of his or her party’s voters, otherwise the party-determined ordering of the list takes over. This can be called a semi-open list system. What I want to look at is to what extent members of parliament for the different parties owe their position in parliament to having a constituency of supporters that circled them, and to what extent do they owe their position to the party placing them high on the list and being favoured internally in their party. KDH 15 seats: 10 elected through circling, 5 elected based on their list positions. Of those elected through circling, 1 was not in the top 15 on the original list (and so wouldn’t be in parliament if no circling had taken place) Of those elected based on list positions, none were in the top fifteen on circling (and so all five wouldn’t be in parliament if there were no 3 percent cut-off for circling candidates). I don’t agree with the standard way of analysing elections of this type, by which the above would be taken to mean that the public were only able to change the KDH list order by one seat. For example Durkovsky (13th on the list, 8th in terms of circing) would not be in parliament if his voters had circled other particular other candidates and got them over the 3 percent mark. An alternative explanation is that only small numbers of voters disagreed with the ordering of the KDH list anyway, which of course featured the best known people at the top. Only seven candidates on the list got more circles than REN so could be said to have pulled their weight by bringing in as many supporters as needed to elect one member, so it’s difficult to say that candidates scoring less than 3 percent (6480 votes, less than half one REN) were unfairly excluded by the 3 percent rule. All members were elected by circling, and a further two members had more than 3 percent but were outside parliament, meaning that the list ordering had no effect (uniquely among party leaders, if Bela Bugar had got no circles he would be out of parliament even though he was first on the list). A total of 4 of the members elected were outside the original 14 on the list, including 3 OKS members (Most-Hid gave some spaces on their list to this smaller party, in the hope of pooling votes). The number of circles received by OKS leader Peter Zajac was just over the REN, which suggests that with 4 members of parliament OKS is by far the most over-represented party in parliament, and Most-Hid the most under-represented. Most-Hid voters were the most frequent users of the right to circle candidates (82.88 percent circled at least one candidate). This is consistent with past results for SMK, probably because in parties based on ethnic politics, voters have more need to use the circles to express more traditional right-left or conservative-liberal preferences. SaS 22 seats: 10 through circling, 12 through list positions. Of the 10 circled, 4 were not high enough on the list to be elected anyway. These were the Obycajni ludia group who were given the bottom four places on the SaS list. Their leader’s 38000 votes is almost 3 RENs meaning there is a stronger suggestion than in the case of OKS that these were not mainly at the expense of the party hosting them on the list. Of the 12 elected through list positions, 8 had high enough support that they would be elected anyway through circling if the 3 percent rule didn’t exist. SaS voters were the least likely to circle candidates (68.09 percent used this option), possibly reflecting that as a party of newcomers they had fewer famous candidates. One circled candidate was not high enough on the original list to be elected without the circles. Of the other 18, 13 candidates were circled by enough people to be in if the three percent rule didn’t exist and only circling was used. SNS 9 seats: 8 through circling, 1 through list position. One of the eight circled was outside the top nine on the original list. The one candidate elected through list position would not have had enough circles to be elected if the three percent rule didn’t exist. Smer 62 seats: 9 through circling, 53 through list position. The 9 candidates elected through circling were all from the top 62 of the list (in fact all from the top 10). There were 13 people lower down the list who had higher numbers of circles than 13 who got in through list position. It is worth pointing out that without the 3 percent cutoff a candidate would require 1,461 circles, to get into parliament so 0,16 percent of SMER voters or less than a tenth of the REN. I must say that I support the use of the 3 percent rule or a similar rule (possibly based on a fraction of the REN as in the Benelux countries, so it would apply more consistently across parties) as numbers of circles like 1100 or 1300 are just about who has an extra 200 people living in their home village. 89 candidate were elected through list positions, of those 28 would not have had enough circles if the 3 percent rule did not exist. Conclusion, the circling and the list orders were broadly consistent with each other, but there are a large number of members of parliament who owe their position to the party and its internal politics more than the use of circling. Note: Thanks to The Monkey Cage for allowing me to reprint the posting below. I’ve added several graphs that might help to clarify the narrative. One month after its June 12 elections, Slovakia has a new government. On Friday of last week Iveta Radicova of the Slovak Democratic and Christian Union became the prime minister of a coalition government consisting of four parties with pro-market orientations and relatively moderate views on intra-ethnic cooperation between Slovaks and Hungarians, replacing a coalition of three economically statist parties oriented around the Slovak nation. The new government, and the elections that brought it about, mark two significant “firsts” and a number of other changes that will be important for the region. The first “first” for Slovakia is a female prime minister, a particularly noteworthy development because Slovakia has never had a particularly strong representation of women in positions of power. Slovakia differs little from its neighbors in this regard: the Visegrad Four—a regional grouping consisting of Slovakia, the Czech Republic, Poland and Hungary—has had only one other female prime minister in the last 20 years (Poland’s Hanna Suchocka in the early 1990’s) and although several of the other countries in the region have had female presidents (Latvia) or Prime Ministers (Lithuania and Bulgaria) women still remain the exception in postcommunist European politics. Indeed the incoming government of the Czech Republic may have no women at all, and despite Radicova’s control of the premiership, her own government will have only one other woman, and Slovakia’s new parliament actually has fewer female deputies than it did four years ago. The other “first” is more subtle and involves the comparatively brief tenure of the outgoing Prime Minister, Robert Fico. In Slovakia’s first eight years of postcommunism the premiership was dominated by Vladimir Meciar, twice removed by parliament but twice returned by voters; in the next eight years, the seat was occupied without a break by Mikulas Dzurinda. By this standard, Fico is the first elected prime minister in Slovakia whom voters did not immediately reward with a second chance at government. There are several reasons why this might be so. One reason, largely outside the political realm,involves the economic difficulties faced by Slovakia’s export-dependent economy in 2009, an effect exacerbated by the tendencies of voters in postcommunist countries to punish incumbents for whatever might go wrong, a phenomenon that Andrew Roberts of Northwestern describes in terms of hyperaccountability . A more “political” explanation attributes the fall of Fico’s government to voter distaste for a long series of scandals involving government ministers. Both explanations have some purchase, but they need to be understood in the context of intra-party dynamics which I discuss in the next section. Those readers who would prefer dental surgery to a tedious discussion of Slovakia’s intra-party dynamics may skip down to the section “Why should we care” below. How we understand Slovakia’s political shift over the last four years depends heavily on what we are looking for. Analysis tends to settle at one of three levels, all of which have some claim to the truth, provided that we understand the context. The most superficial (but not unimportant) level of analysis looks at coalitions and oppositions and involves a one-dimensional space. In this space, the 2010 elections represent the handover of power from “left” to “right” and involve a swing of 7 seats in Slovakia’s 150 seat parliament from Fico’s coalition to Radicova’s. (Fico’s coalition dropped from 85 seats in 2006 to 71 in 2010) . For the purposes of governing, this makes all the difference. But it helps to go deeper. Analysis of election results according to these blocs produces a rather different set of judgments. Although the total vote share of “right” parties of the incoming government increased by five percentage points from 2006 to 2010, the vote share of the “left” party in the outgoing government—Fico’s “Direction”—increased by even more. Corresponding to the gains by both left and right were major losses in the “Slovak national” bloc: the Slovak National Party under Jan Slota fell catastrophically from 12% to 5%, squeaking over the barrier for parliamentary representation by just two thousand votes out of two-and-a-half million cast, and Vladimir Meciar, once the sun and the moon of Slovakia’s politics, continued a remarkably long gradual slide into obscurity, falling below the barrier and out of parliament altogether. Like Jaroslav Kaczynski in Poland in 2007, Fico can therefore justifiably claim not he, but his partners lost the election (though Meciar has publicly suggested that having undermined his partners to maximize his own party’s gain, Fico deserves his fate). This begs the question, however, of exactly where the “Slovak national” voters went and why. Dimension 2: Changes in relative bloc size. 2010 figure indicates lost seats in light grey and gained seats in deeper colors. A third level of analysis is necessary to solve the “mystery of the shifting Slovak national party voter.” The third level looks at voters motivations and involves a space with (at least) three dimensions. It also involves speculation on the basis of very little data. What is apparent from two opinion polls conducted before the election is that the exodus of voters from Slovak national parties was not distributed evenly to left and right. In fact, nearly all of it went to the left, mainly to Fico’s “Direction.” For the math to work out, however, this must mean that some of Fico’s voters went elsewhere as well, and the poll evidence suggests that at least some of them went to the new right party Freedom and Solidarity. Slovakia’s political shift in 2010 thus reflects not a fundamental shift from left and right but only a left-to-right shift in the votes of those most highly sensitive to corruption, a shift that is likely to endure only until the emergence of a new anti-corruption party (perhaps left, perhaps right, perhaps Slovak national) in a future election cycle. Nor does it reflect a fundamental decline in the strength of the Slovak national position but rather a shift of Slovak national voters from the smaller parties with stronger emphasis on national questions to Fico’s larger and more diffuse but sufficiently national alternative. Whether that shift will endure depends on the emergence of a new national alternative, either through the formation of a new party or the reformation of the Slovak National Party. Dimension 3: Shift of most "corruption intolerant" from SNS and HZDS to Smer (brown arrow) and Smer to SaS (orange arrow). Shifts also occurred within the "right" (from SDKU to SaS) and within the Hungarian national (from MKP-SMK to Most-Hid) but for simplicity's sake those are not shown here. Those who look occasionally at Slovakia can be excused for experiencing a bit of déjà vu. The names of the some parties have changed slightly from the 2002 Dzurinda government, but the names are about the only change. Substitute one Hungarian party for another (“Bridge” for the Party of the Hungarian Coalition), and one new pro-market anti-corruption for another (“Freedom and Solidarity” for the now defunct Alliance of the New Citizen) and the array is pretty much the same. Not only that, but ten of the fifteen cabinet posts are in the hands of the same party that controlled it in 2002 (or its analog) and seven of the fifteen ministers served in the 2002-2006 cabinet (sometimes heading the same ministry). Although the government is the nearly the same, however, the times are different and it will face new challenges. Although economic questions are the ones that most clearly unite Slovakia’s new coalition, the parties also share a common pro-Western outlook and (relatively) accommodating views on ethnic co-existence and national identity. And since such questions are arguably more sensitive to tone and manner than economic policy, it may be in this realm that the new coalition has its greatest impact on Slovakia and the region. But even this will not be easy. There is still a wide gap between the Hungarian party, “Bridge,” and the its Slovak partners in government on what constitutes appropriate support for minority culture, and the Slovak parties in the coalition cannot risk appearing weak when dealing with the assertively national government in neighboring Hungary. Nor will relations with the rest of the EU be easy, especially since the parties of the current coalition, in an reversal that had more to do with domestic electoral politics than programmatic position, campaigned on a platform of rejecting the EU bailout of Greece and must now figure out how to back down gracefully without appearing to have caved in. In addition to “Freedom and Solidarity’s” outlying position on economic issues, and “Bridge’s” outlying position on minority policy, the coalition will also need to deal with the outlying cultural policy preferences of the Christian Democrats (who have already introduced questions about an agreement with the Vatican and who differ sharply from “Freedom and Solidarity” on questions such as gay marriage and drug legalization.) And all of the major coalition partners will need to deal with two smaller groups that entered parliament on the basis of preference voting on the electoral lists of the two new parties: a civic movement called “Ordinary People” which gained election on the list of “Freedom and Direction” (preference votes elevating its representative from the last four places on the list to near the top), and the Civic Conservative Party which gained election on the list of Bridge. Given the large number of potential stumbling blocks for the governing coalition, the next several years in opposition may bring “Direction” strong poll support. The prospects for the Fico’s return to government, however, depend on his ability to open up new coalition possibilities while maintaining the integrity of his party. Whether Fico undermined his coalition partners or not, it is fair to say that he did not do a good job of preparing for the weakness of those parties. Fico’s use of good vs. evil rhetoric to characterize the opposition may have helped at the polls, but it significantly weakened his leverage in prying apart the opposition parties and finding a coalition partner or two among their ranks. 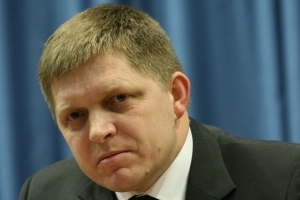 Unable to count on the return of Meciar or the resurgence of the Slovak National Party, Fico will need to figure out how to fight a good fight in opposition while at the same time preparing for a potential alliance with some of the coalition partners. And he will have to do so while satisfying the diverse constituencies within his own party—which range from nationalist to cultural liberal, from statist to entrepreneurial—and do so without the perks of government. He managed this well between 2002 and 2006, but it may be harder to do so with a parliamentary delegation that is both larger and more reliant on the resources of the executive. Slovakia, like Poland, Hungary and the Czech Republic, has elected a “right” wing government (fulfilling Joshua Tucker’s June 9 prediction in the Monkey Cage ), but the meaning of “right” varies considerably from nationalism and cultural conservatism in Hungary (combined with some remarkably statist efforts in economic policy) to its pro-market meaning in the Czech Republic (along with some cultural conservatism) to the pro-market and culturally (relatively) liberal combination that has emerged in Poland (where both the major alternatives claim the “right” label) and in Slovakia. In the long run, Slovakia is likely to see the alteration of the two main streams—statist and national against pro-market and ethnically accommodating—but the nature of the balance will be continually subject to readjustment brought about by the birth of new parties and the death of others. The “new” rather than the “right” may be the real story of recent elections throughout the region, and come the next election cycle, the “new” is more likely to be left or national. Apologies to readers for the long absence thanks, for a change, to a real vacation. As nice as it was to go away it’s nice to be back. And there is no nicer way to return to blogging life than to do so with a review of the 2010 Slovak Elections in The Monkey Cage, by a long margin my favorite professional blog–one that manages to link political science and issues of popular concern without demeaning either one. Soon I’ll repost here on this blog a modified version of that post with a few graphs, but until I get to that, you can read the original piece here and, I hope, subscribe to the Monkey Cage RSS feed. And watch here for all of the now obsolescent Slovak-election-related stuff that I couldn’t help thinking about during vacation. What were the most surprising moments for you in the election results? Was there anything completely unexpected? I did not expect how inaccurate the final week of polling numbers, and I was especially surprised by the difference between the exit polls and the final results: 6-7% difference between polls and reality for Smer is quite shocking. Even exit polls are usually are not particularly good at predicting final results, but for both FOCUS and MVK to be so far off and in the same direction suggests a need to rethink polling and especially exit-polling methods, something that has occurred in a variety of countries including my own. Fortunately, this particular surprising had little consequence except for those prone to extremes of euphoria or melancholy and by 02:00 we could more or less predict the actual composition of the next coalition. As for the results themselves, I the only real surprise was in the relative percentages obtained by Most-Hid and MKP-SMK, but since I figured that I had no way of knowing how those would come out, there is no result that would not have surprised me in one way or another. Beyond the election results themselves, the final days of the campaign produced some remarkable moments: HZDS giving out flour as an election enticement; Fico so concerned about a minor competitor as to brandish a “Don’t vote SDL” sticker; the moment of 00:42 on election night when the updated election returns put HZDS below 5.0 for the first time ever in its history; and my sudden realization around 02:00 that Slovakia would have its first female prime minister, news which my 6-year old daughter greeted with great enthusiasm. The election turnout was expected to be very low, about 50 percent, yet the actual number hits 59 percent. What’s the reason for this unexpected interest of voters in the elections, in your opinion? Well the problem is in the expectations rather than the interest. In my research for our last interview, I found that voting intentions were not running behind 2006 and that in other elections there had been a slight uptick in turnout from the mid-2000s to the late-2000s and so there was few grounds for expecting a sharp decline. I think that a small share of turnout increase may be related to the emergence of several new parties which perhaps offered some motivation for turning out: SaS, Most-Hid and SDL between them attracted more than 20% of the vote; it is not to big a stretch to think that without plausible new parties (a condition that prevailed in 2006) some of these voters might have stayed home. The election results of HZDS has encouraged political analysts and opposition politicians to talk about the ‘end of the Meciar era’. What does the fact that they were left outside the parliament mean for the party’s future? The day after the 2006 election I plotted out trendlines for the various parties’ parliamentary delegations and found that the trendline for HZDS pointed precisely at 0 in 2010. I turned this into provocative graph for my blog, but Inever ever expected it to be accurate. Until about two months ago I figured the party would have enough reserve strength to scrape over the barrier. Now that HZDS is out of parliament, it will be even harder to reverse that trend (though I don’t expect it to achieve -15 seats predicted by the trendline for 2014). Three forces work strongly against HZDS in the coming four years: history, demographics, organization. History is not a causal factor but something to take a close look at to determine causes. With parties almost never return to parliament after dropping below the 5% threshold. Once out of parliament, parties tend to be forgotten and sink even further or disappear altogether as the examples of ZRS, SOP, ANO, and KSS indicate. In Slovakia the only major exception I can think of is SNS, which re-formed after its split in 2000 and manged to recover its initial electorate. In the neighboring Czech Republic the Party of Greens also managed to re-enter parliament after a long hiatus but only as a completely reorganized organization with a new leadership. HZDS lacks similar quick fixes to problems with its electorate and demographics. Demographics plays a major role in the sense that HZDS already had the oldest electorate in Slovakia’s politics and it was aging at about 1 year per year. Even if all of its voters stayed loyal–something that obviously did not happen between 2006 and the present–it would still have fewer voters than it does now (and despite the picture of Meciar with a laptop, a party that distributes flour on election-day does not show strong signs of being able to reach out to younger voters). HZDS also has the oldest leader of any of Slovakia’s major parties. Meciar will be 72 in 2014 and he is already not the active campaigner and public presence that he once was. HZDS organization will also work against the party’s recovery. A party with 4.4% might be able to recover to 5%–and both the Party of the Hungarian Coalition in Slovakia and the Christian Democrats in the Czech Republic will be trying to demonstrate their resilience–but not with the same leadership–something that the leadership of MKP-SMK and KDU-CSL recognized in their immediate resignations. The problem for HZDS is that Meciar has systematically created a party that cannot live without him. Since every HZDS leadership challenge has ended up with the departure or expulsion of the challenger there is really nobody left in the party. HZDS and Meciar are inseparable and for that very reason both appear to be without a political future. As an afterthought, I suppose it is theoretically possible to envision HZDS surviving in some weak form as part of an electoral coalition whose members might share 7%, but right now it is not clear what party would willing to join with it in that effort, and if, as I suspect, HZDS’s poll numbers begin to fall consistently below 3% it would not become a particularly appealing partner. What is behind the very high result of Smer? Why, on the other hand, did the support for SNS drop? From one perspective, Smer’s results are “high” only by the standards of the final week of polls, which we now know to be (for reasons unknown) in sharp error. Leaving aside the final week drop (and the polls of the final week proved in both 2006 and 2010 to make worse predictions than those from a month before) Smer lost more than 10 percentage points from its peaks during 2008. A variety of experts including Martin Slosiarik at Smer argued at the time that many of these were “soft” supporters who chose Smer as the default option which was in government during a period of economic growth. The work of Andrew Roberts and others shows that incumbent parties in Central Europe do tend to lose support during periods of economic decline, and many of those softer supporters appear have been affected by increasing unemployment and scandals involving those close to Smer. Where did they go? Some simply did not vote, others voted for SDL or KSS (though together not many more than voted for KSS in 2006) and a significant number of the remainder appear (at least in pre-election surveys) to have opted for SaS. From a purely left-right ideological standpoint this shift seems unlikely, but if voter choice is relative and often non-ideological, then those who simply seek economic opportunity (without having a firm idea of how it should be brought about) and/or seek a cleaner alternative (the role that Smer itself played in 2002 and 2006) then SaS may be a reasonable choice. (More on this using pre-election data here: http://www.pozorblog.com/2010/06/who-from-whom-slovakia-electoral-shift-roundup/). Second, Smer will be going from government to opposition with a very large parliamentary deputation. It has been in opposition before and stayed very disciplined, but not with such a large group. It has had a large delegation before but not without the carrots (and sticks) of parliamentary and government offices. It will be interesting to see whether Smer can avoid splintering if some deputies, perhaps with savvy media advice and outside financial support, see an opportunity for doing better on their own, particularly if the Smer itself inclines more toward the national appeals. Third, Smer’s own leader may be torn about what to do in 2014. Since 2008 I have heard persistent rumors that Fico would rather be president than prime minister. Because I work from the presumption that leaders would rather have more power than less, I have always discounted these rumors as either wishful thinking (by Fico’s opponents) or misdirection (by Fico’s supporters) but they have come up so often from so many sides that I sometimes have to wonder. If it is true that Fico would rather be president than prime minister, he will have his best chance to do so in 2014. Indeed it is hard to imagine a candidate who could come close to beating him in a one-on-one race, and he will have the advantage of running from opposition without the burden of responsibility for government policies. My suspicion still is that with those advantages any politician I know would still rather be prime minister than president, but if Fico does opt for the presidency (or even lets his mind wander in that direction), then Smer will need to deal with the tensions among a rather large and diverse group of second-tier politicians–Kalinak, Madaric, Caplovic, Paska, Pociatek, Benova and a few others–who may be looking to step into Fico’s shoes and who may not like it much when one of the others takes the spot. How do you evaluate the results of the two parties representing the Hungarian minority? Were the results surprising for you? This one has always been opaque to me, in part because I cannot not read the Hungarian press and because what I read in the Slovak press does not even allow me to pretend to know what is going on in the Hungarian community, and there were no precedents that would have allowed me to build a rough model based on past election data. In principle I found it highly unlikely that the Hungarian parties would maintain the 55:45 split they needed to both stay viable, but the polls pointed consistently at their near equality. If we discount OKS, whose preference votes accounted for almost 10% of all Most-Hid’s preference votes, the actual ratio of Most-Hid to MKP-SMK among Hungarians was probably about 7.2 to 4.4, so the final ratio was just a bit above 60:40. It may be that Bugar’s geniality and moderation were more of an electoral motivator than Csaky’s better organizaiton, but for a better understanding of why 20% more Hungarians favored Bugar’s new party than Csaky’s more established one, I look forward to a thorough and demographically-grounded analysis from Hungarian-speaking experts.